Forget Miku, tiny Zakus are tiny. Are Hourai and Shanghai the pilots, I wonder? Promoted to pilot the zakus? which one gets to use the horned one? The doll who is three times faster. The context considered, wouldn't the taurus_(gundam) be more appropriate? Well, considering those are Zakus and not Taurus Mobile Suits...No. 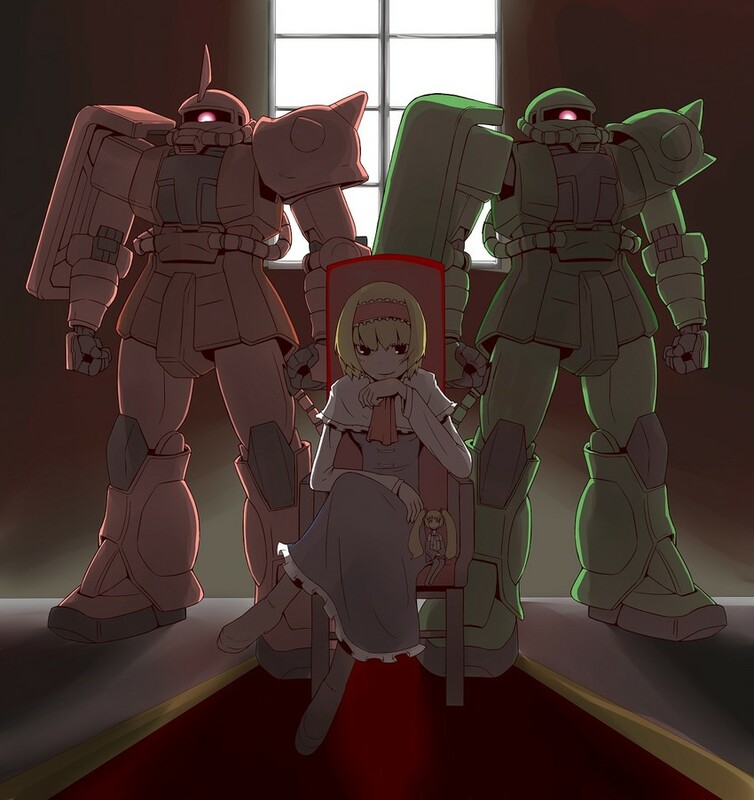 That was the point, the Taurus would've been more appropriate than the Zaku for this picture.